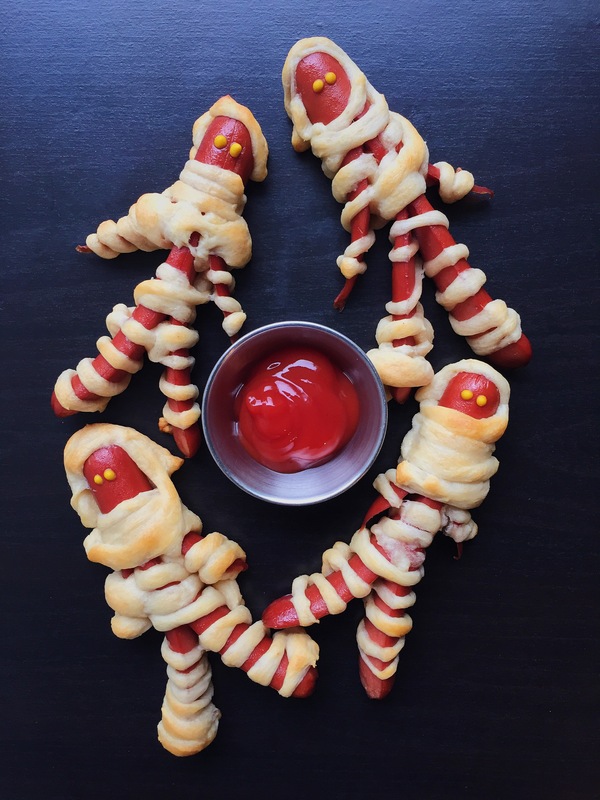 To make these cute mummies, you will need a can of Pillsbury Crescent Rolls and 8 hot dogs. I used chicken hot dogs as I do not eat pork or beef but any type of hot dog will do! Cut each hot dog lengthwise halfway up to form legs. Then make two more cuts for the arms. Repeat this for all of the hot dogs. Next, open up a can of the crescent rolls and cut each rectangle into 8-10 long strips. Start wrapping the dough around the hot dogs and make it look like bandages. Once all of the hot dogs are wrapped, place them on a parchment lined baking sheet and bake at 350°F for about 12-15 minutes or until golden brown. Once the mummies have finished baking, you can use ketchup or mustard to give them the eyes! 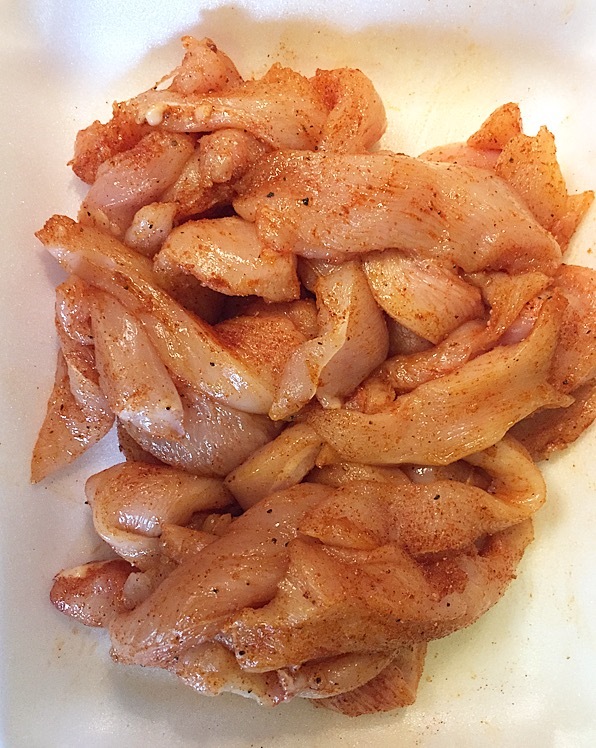 1) Place the chicken strips into a freezer bag. Add the buttermilk, sweet paprika, sugar, salt and pepper. Mix until well coated. 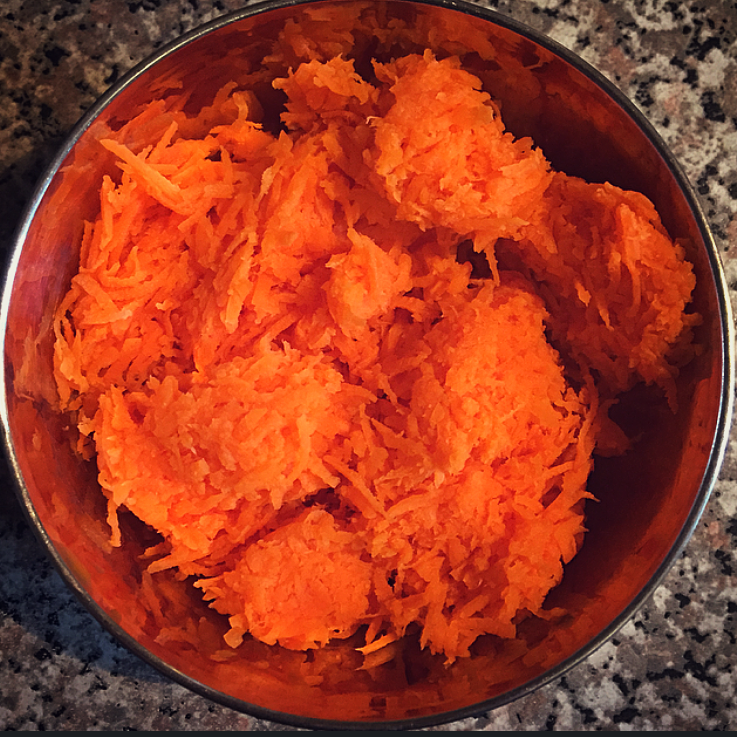 Allow to marinate in the fridge for at least 1 hour, or ideally overnight for the best flavour. 2) Preheat the oven to 350ºF. Line two baking sheets with parchment paper. 3) Place the Corn Flake mixture in a dish. 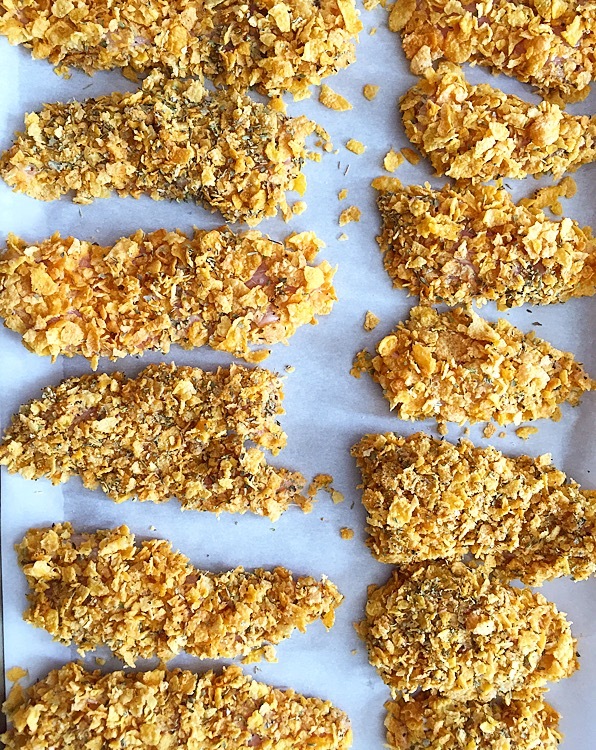 Remove the chicken strips from the buttermilk mixture and coat evenly in the Corn Flake mixture. 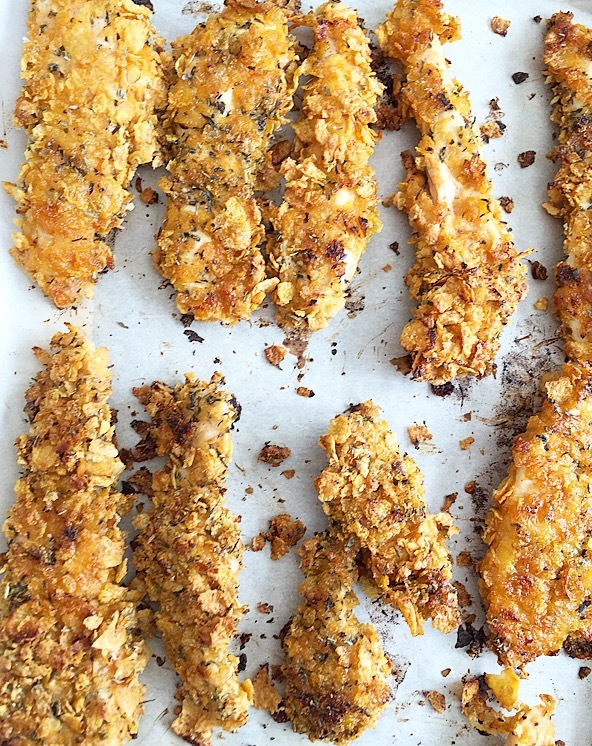 4) Arrange the strips on the baking sheet and drizzle with olive oil. 5) Bake strips for 8 to 9 minutes then flip the strips. Continue baking the strips for another 8 minutes. 3) In a small fry pan, heat the olive oil over medium heat. Add the onions and garlic and cook until translucent. 4) Transfer into a small bowl. Add the cream cheese, ¼ cup of parmesan cheese, salt and pepper. Stir until the cream cheese has melted. 6) In a large bowl, combine the panko, remaining parmesan cheese, oregano, tarragon and parsely. 7) Add the egg whites into a small bowl and whisk until frothy. 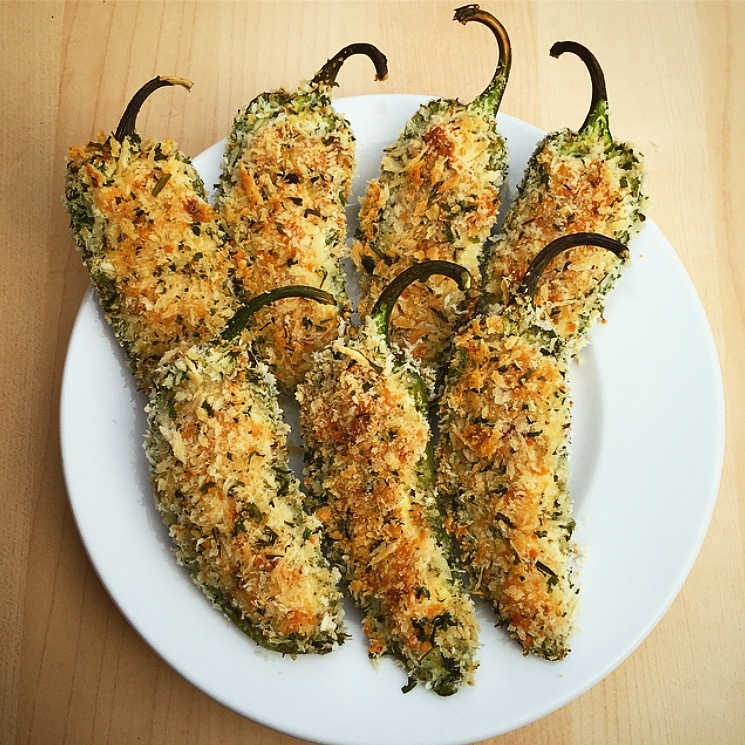 8) Dip the pepper halves 1 at a time into the egg whites and then coat with the panko mixture. 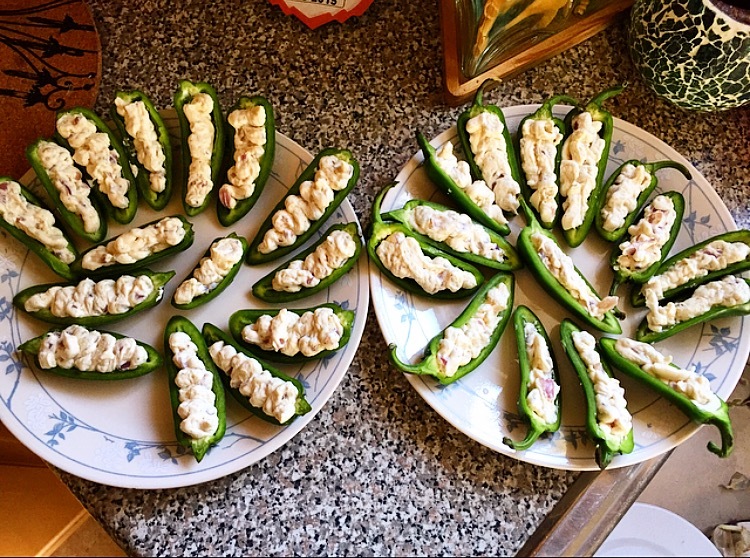 9) Place peppers cut side up on the prepared baking sheet. 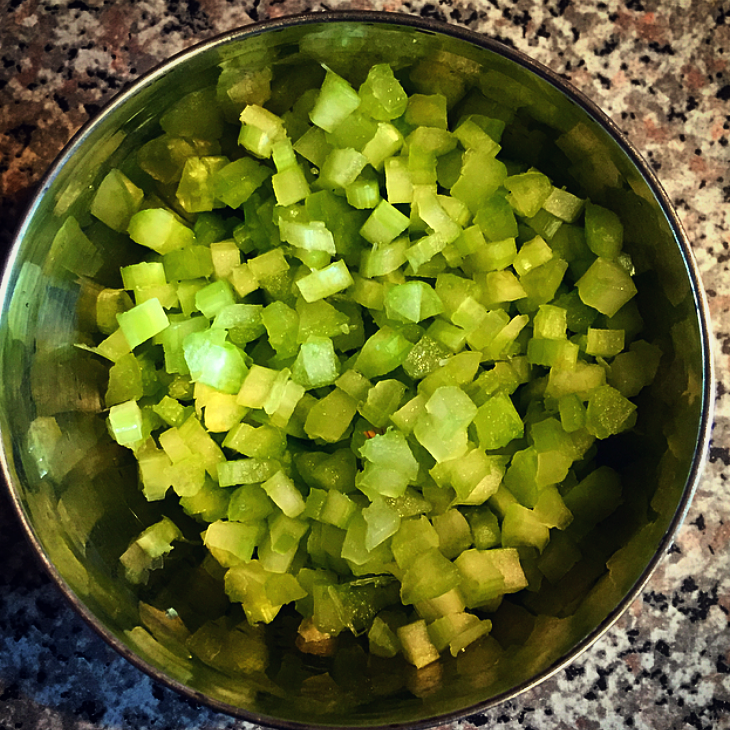 10) Bake peppers for about 20 minutes or until golden brown. 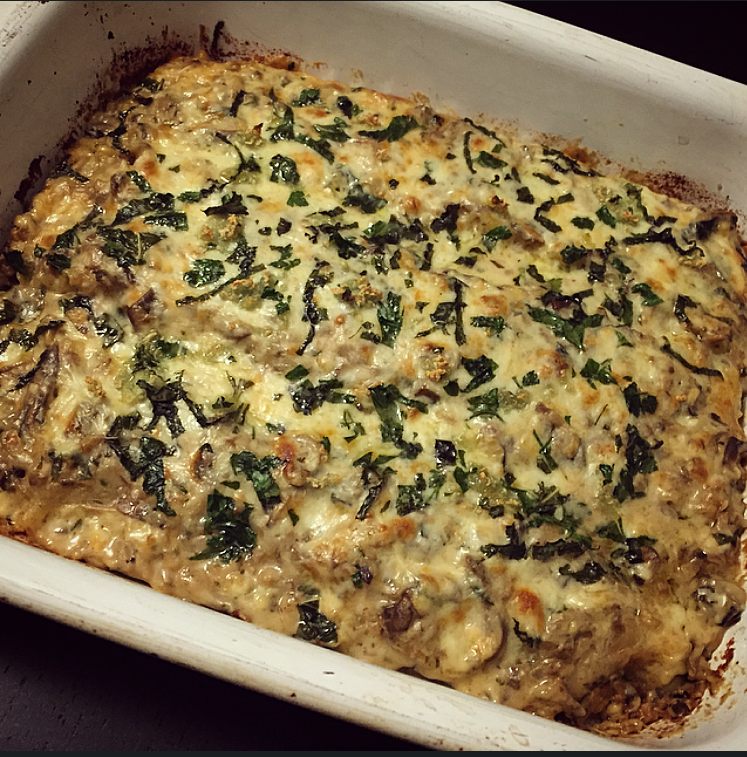 Growing up lasagna was one of my most favourite dishes! My grandma always made meat lasagna with the traditional red sauce and used Ricotta cheese. My mother on the other hand made beef and spinach lasagna with the traditional red sauce but used Mozzarella cheese. As I’ve stopped eating beef and pork, I would always make turkey lasagna but the meat would always be dry. I then thought why not make a lasagna twist??! Why not have a cream sauce than a tomato based sauce? 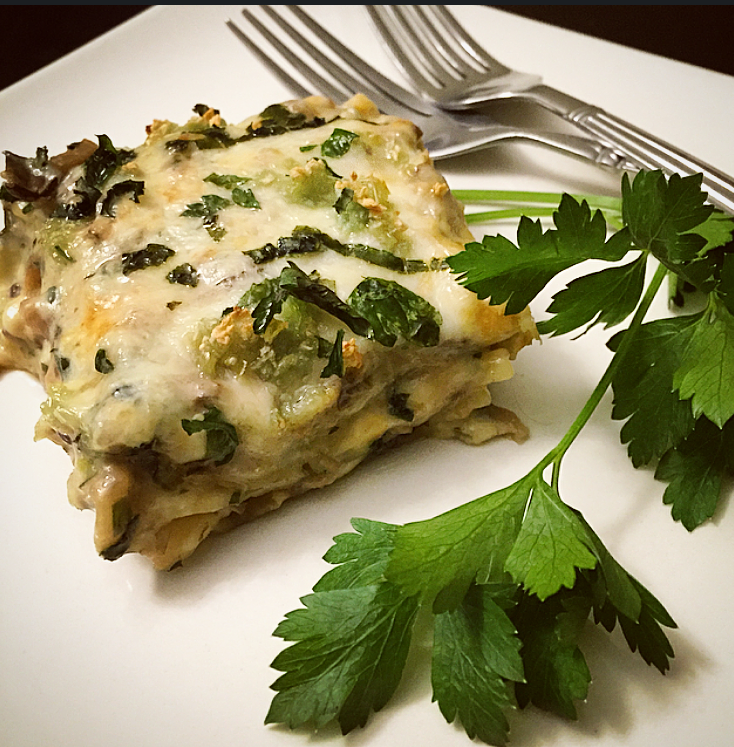 Why not make a vegetarian mushroom lasagna?! I then started brainstorming different ingredients to put into the lasagna. Of course there would be lots and lots of mushrooms!! Portobello, crimini, porcini and last but not least the white mushrooms! Next came the cheese! Instead of the typical Ricotta cheese I decided to use Parmesan, Gouda and Gruyere. 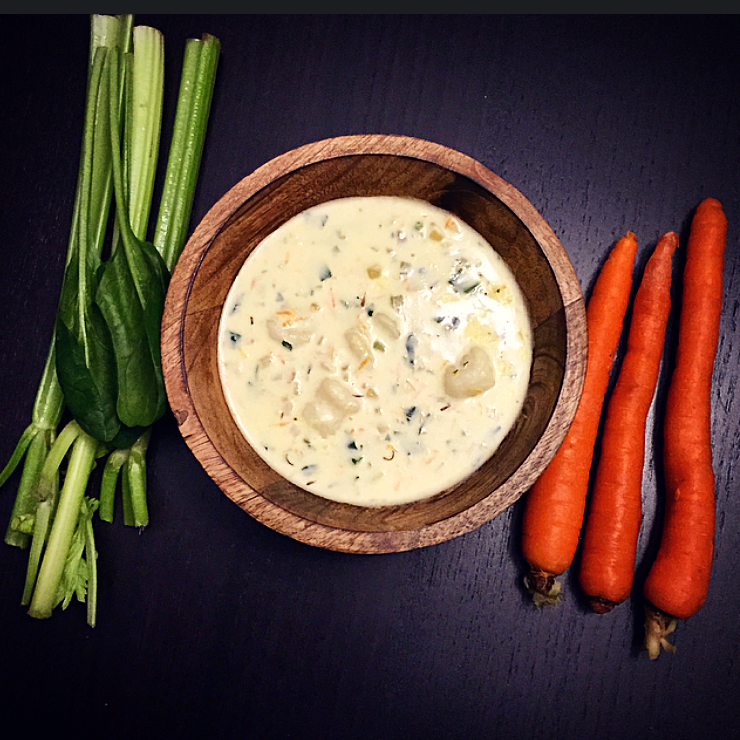 All three of these cheeses would give such an amazing amount of flavour 🙂 There would of course be fresh basil, parsley, garlic and red onions and of course lots and lots of white wine 😉 My boyfriend also decided to come over and help me put this masterpiece together and I must say it came out pretty rich, creamy and tasty!! 1) Roast the portobello mushrooms. Heat oven to 425ºF. Toss the portobello mushrooms with olive oil, salt and pepper. Roast in oven for 30 minutes. Transfer into a large bowl once roasted and set aside. 2) Microwave the water and porcini mushrooms for 1 minute. Let mushrooms sit until softened. Finely chop the mushrooms and reserve the liquids. 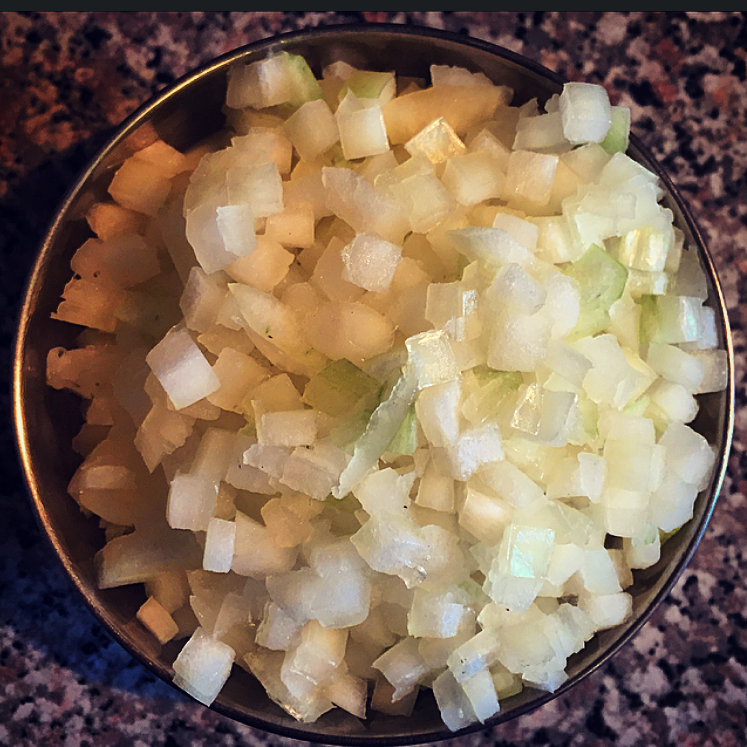 3) In a large pot over medium heat, heat olive oil and add onions, salt and pepper. After 6-8 minutes add the chopped white, crimini, porcini mushrooms along with 5 chopped cloves of garlic & salt and pepper. 4) Once the mushrooms have cooked (8-10 minutes) add in the white wine, roasted onions and portobello mushrooms, stirring until the liquid has evaporated, 2-3 minutes. 5) Stir in the butter and allow to melt. Add the flour, stirring constantly for 1 minute. Gradually add in the milk and porcini liquid. While stirring, bring to a simmer. 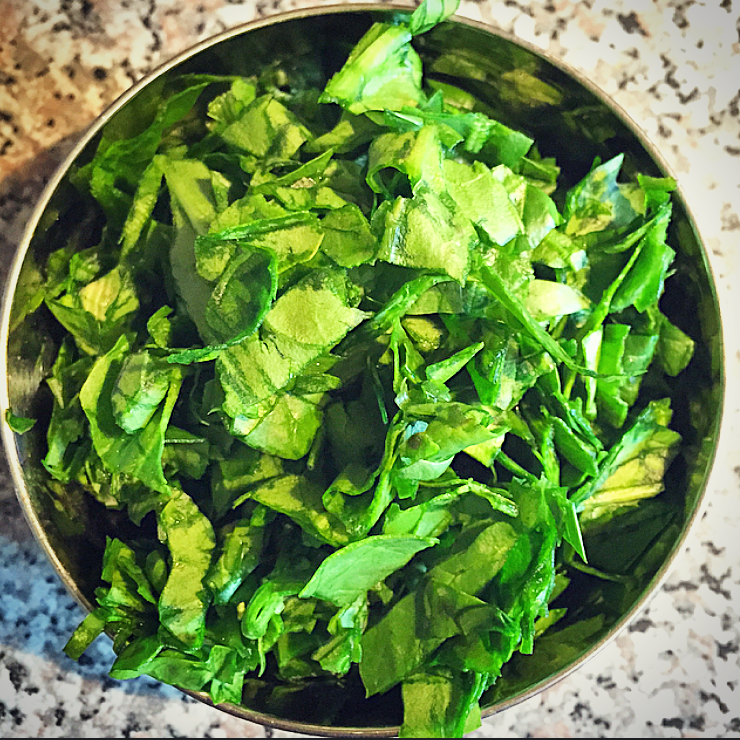 Add in the basil and parsley (reserve some of the basil and parsley for the topping. 6) Pour some boiling water into a baking dish. Add the lasagna noodles into the water. After 2 minutes remove the noodles and discard the water. 7) Toss together the 3 grated cheeses. Spread some of the mushroom mixture over the bottom of the pan. Arrange 3 noodles on top of the mixture. Spread a third the mushroom mixture evenly over the noodles. Then sprinkle with 1 cup of cheese. Repeat the layering of the noodles, mushroom mixture and cheese 2 more times. 8) Cook the dish in the preheated oven for 25 minutes. In the last 5 minutes add the garlic, basil and parsley over the cheese topping. 9) Broil the lasagna for the next 3-4 minutes or until the cheese starts to brown. 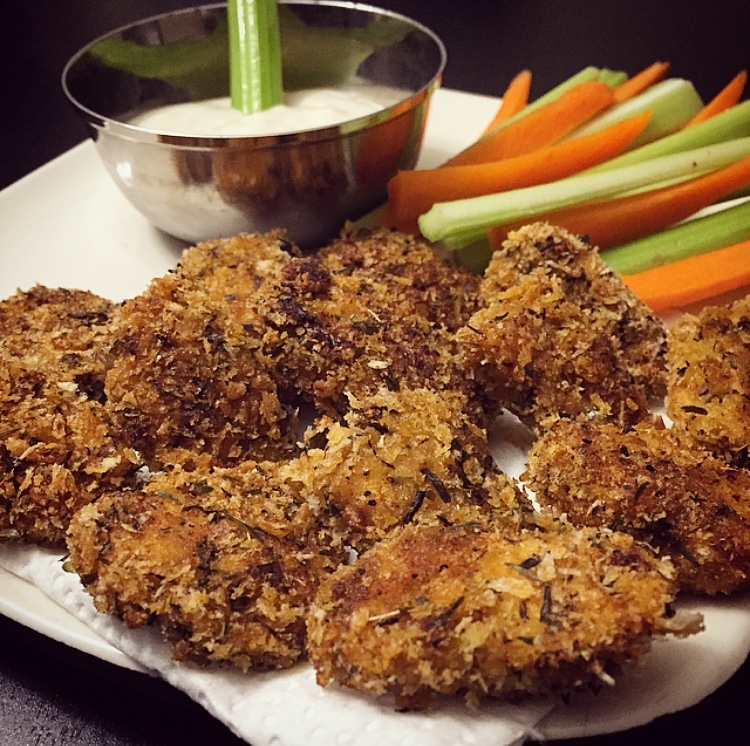 3) In a large bowl, combine the breading ingredients. 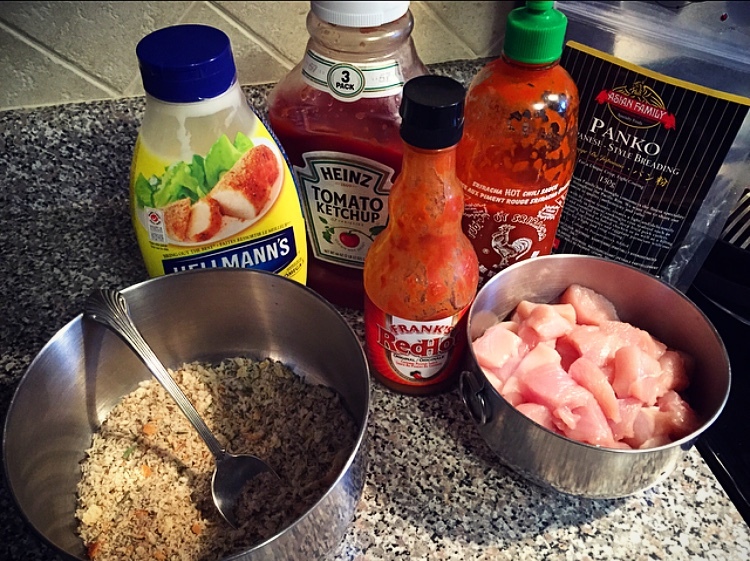 4) In a medium bowl combine the mayo, ketchup, sriracha sauce and salt & pepper. 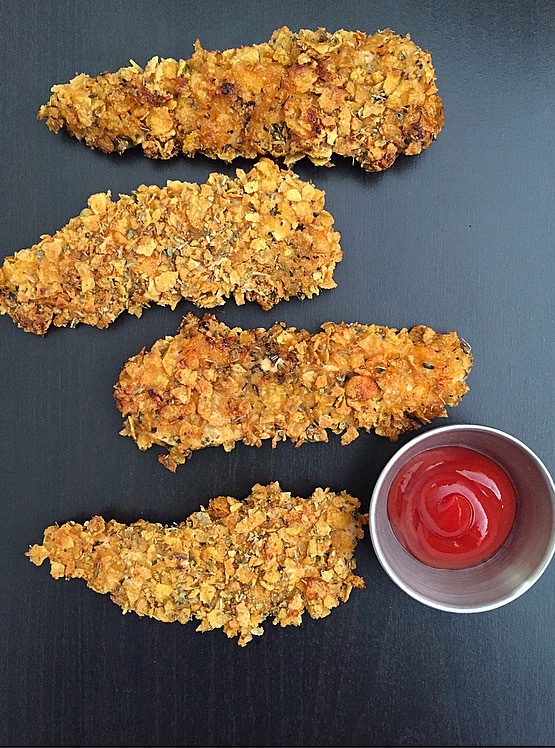 5) Dip the cut up chicken into the sriracha sauce mixture then dip into the breading mixture. 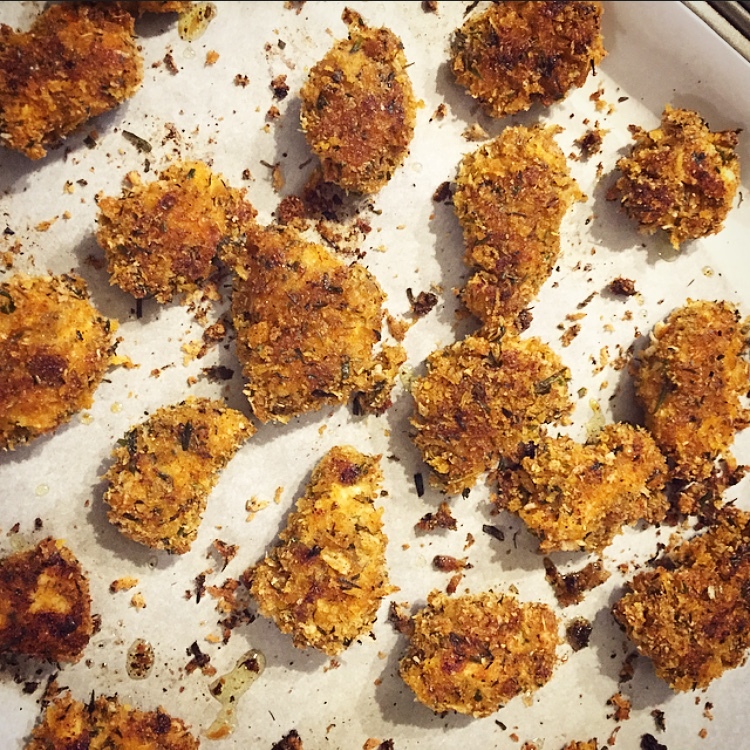 6) Add the breaded chicken pieces onto the baking sheets. 7) Sprinkle with some olive oil. 8) Bake for 10 minutes. 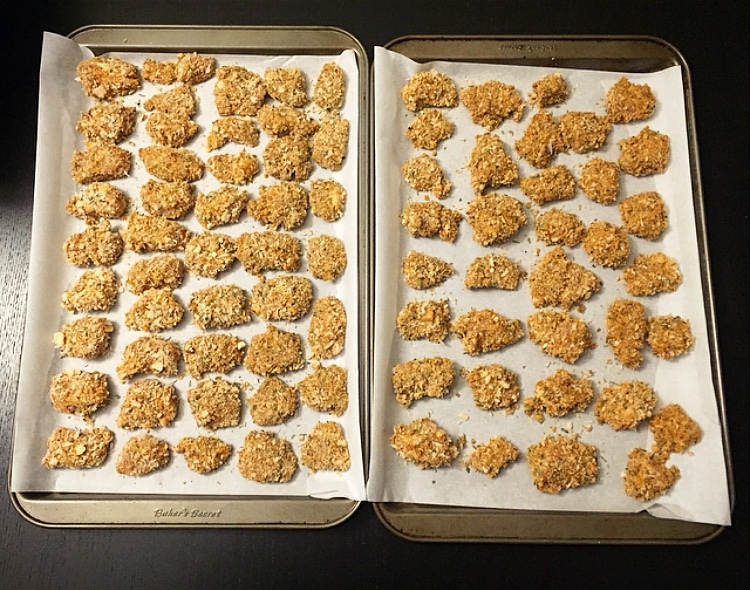 Flip the nuggets and bake for 6-8 minutes.